c)decide wine and chocolate and collapsing on the sofa is a preferable way to spend half an hour. They have all applied at one time or another. This is perhaps how I have ended up where I am now. Nine and a half stone. Some of you may think that doesn’t sound too bad. But I am only just 5’3″ standing REALLY straight. That image of a slightly flabby oompa-loompa forming, that’s about right. I am RUBBISH at dieting. 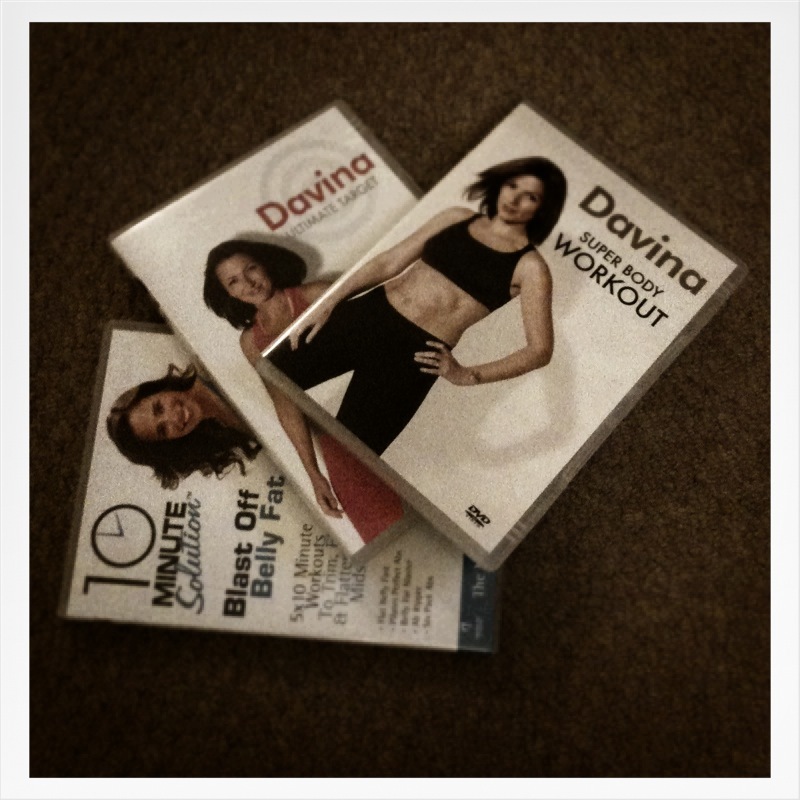 I have tried various exercise DVDs. I run a bit. Nothing has really worked as, quite simply, I have NO WILLPOWER. Literally none. Someone stole it. And offered me wine and chocolates and comfy sofas instead. However, a new exercise fad I cannot resist at least trying. Especially when it is YET ANOTHER DVD to add to my dusty collection. So when I read this post by the wonderful Mummy Returns, I got an itchy-amazon-trigger-finger. Two minutes later and Jillian Michaels 30 Day Shred was winging it’s merry way to me. Two days later it arrived. Two weeks later it remained firmly in the box. Thirty days later, still firmly in the box but I am beginning to feel it’s disapproving glare from across the room as I glug my wine and scoff my chocolates while prostrated on the sofa. Today I relented. I gave it a go. I, obviously, started at level one. Thirty minutes comprised of warm-up (not too bad), then 3 circuits consisting of 3 minutes of strength exercises (ouchy-pain), 2 minutes of cardio (CAN’T…….BREATHE……PAIN) and 1 minute of abs (crunchy-pain). By the end I felt a bit sick. I simply cannot imagine ever progressing to level two which I imagine is a WHOLE NEW WORLD of pain. Just twenty-nine more to go. I feel mentally shredded just thinking about it. Any advice folks? Good luck with it, keep us all up to date with how days 2 to 30 go. Mahahaha, I LOVE that you think I might make it to Day 30. I will be amazed if I survive a week! Good for you! My davina from 2 Xmas’s ago still has the cellophane on. Exercise is worth it – apparently. Apparently! I will let you know. I can hardly lift my arms today. Ouch. I would leave the cellophane on a while longer! My advice is to stop moaning, and shift your arse! Painful as it is to begin with, you’ll feel better if you stick with it. Ha ha…don’t do it to yourself!! She s evil! How far along with it are you now honey? Is it worth it? Really? I got to day 8, then broke my foot… Wine and chocolates since! You’re got further than me already…day 21 and my copy is still in cellophane! It took me way over a month to pluck up the courage to open it. Don’t tell anyone but *whispers* it is day 4 and am almost starting to enjoy it. ALMOST.